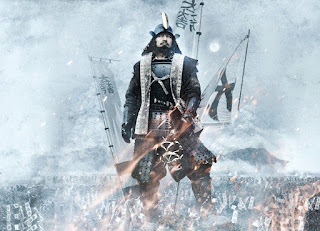 Trailer for upcoming Japanese film "Sekigahara"
On October 21, 1600, the Battle of Sekigahara takes place that ends the Sengoku period and determines a ruler for the new era. The Battle of Sekigahara takes place between the Western Army, led by Mitsunari Ishida (Junichi Okada), and the Eastern Army, led Ieyasu Tokugawa (Koji Yakusho). Ieyasu Tokugawa attempts to keep a hold of the nation within his greedy grasp. Even though the Western Army are believed to outnumber the Eastern Army, they take losses on the battlefield. A hidden truth exists. Hatsume (Kasumi Arimura) was sent to spy on Mitsunari Ishida, but falls in love with him. The film is based on the novel "Sekigahara" by Ryotaro Shiba (published from July, 1964 to August, 1966 in Shukan sankei) and features an ensemble cast including Junichi Okada, Koji Yakusho, Kasumi Arimura, Takehiro Hira, Masahiro Higashide, Noriko Nakagoshi, Yukiya Kitamura and Ayumi Ito. Asian Film Vault: Trailer for upcoming Japanese film "Sekigahara"